Michelle Obama's wardrobe exudes elegance, grace, maturity, and confidence. She is the epitome of classic style. Easy to admire. A true icon. As a self-assured woman, she is not afraid to step out in bold patterns and colors. She knows what she likes, what looks good on her and uses her clothes as a form of self-expression. Her look is classy, modern, and refined. She always looks confident and well put-together! She defies trends and has developed her own sense of style. You can have that, too. Okay, Michelle Obama is exceptional (she has a big budget and a team), but an excellent example of someone with defined style and little regard for trends. Runway fashion and glossy magazines want to convince you that to be fashionable you must buy into the latest trends. And you must constantly update your wardrobe if you want to be on-point. But this simply isn't true! …opting for style should be your number one goal. And keep in mind, you can absolutely be trendy, and still have little-to-no style. While it's fun to throw a vogue item or two into your seasonal wardrobe — as long as it’s something you absolutely LOVE — overall, trends are ‘hype-y' and short-lived. It's better to develop your personal style and create a lasting wardrobe full of pieces you ADORE. Being stylish means, by definition, that you show elegance, taste and refinement. And what does trendy mean? Trendy simply means that you’re following the latest trends and fashions. Build your wardrobe like a prized art collection. If your closet is a revolving door for the latest and greatest, it can be an indication that you haven't developed your personal style yet. And that you're still cultivating your identity and learning how your clothes can be used to reflect your personality, lifestyle, and audience. Your style is defined by you. And only you. I have a friend who always wears at least six silver bracelets at a time on the same wrist. And that’s her signature style. She’s done it for years and everyone who knows her expects her arm to be full of clanking silver….it looks fantastic on her and she owns it! Developing a personal style is how you can start building your wardrobe — beginning with the basics. Do you always wear ripped knee jeans? Stilettos with skinny jeans? A structured jacket? Or maybe you love wearing white sneakers with everything. Whatever it is, own it and stick with it. Keeping in mind…you are always free to change it. You don't have to dress like Michelle, but you do need to dress in clothes you love, feel good in and that represent you. When you learn to purchase stylish clothes over trendy clothes, you act more deliberate. And you fill your wardrobe with timeless pieces because you get inspiration from within. When you have well-defined basics, you won't feel like you need to ‘keep up' and constantly change your wardrobe. 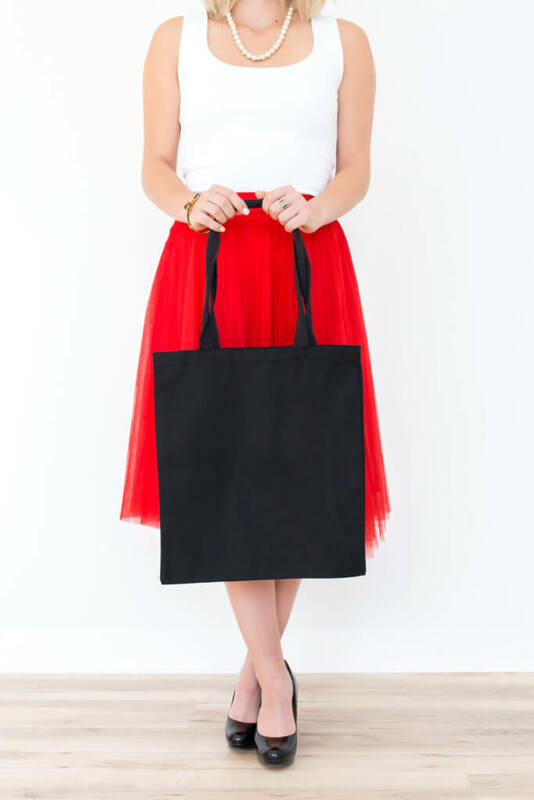 Do you want to spend all your money updating your entire wardrobe with every seasonal change?! Trendy clothes tend to be lower quality because they are meant to wear out quickly. And this means you’ll spend more money trying to keep up. As news site, Quartz explains…. Much of the cheap clothing we consume in droves is like our fast food diets—high in calories (quantity) but low in nutrition (quality). We are a culture that buys a lot of junk. Think about your own wardrobe—consider how many items of clothing you own and how often you wear each of those items. My guess is that most of us wear about 20% of our clothing 80% of the time. That is a lot of wasted space and wasted money. It's also not good for the environment. All those disposable clothes have to go somewhere! 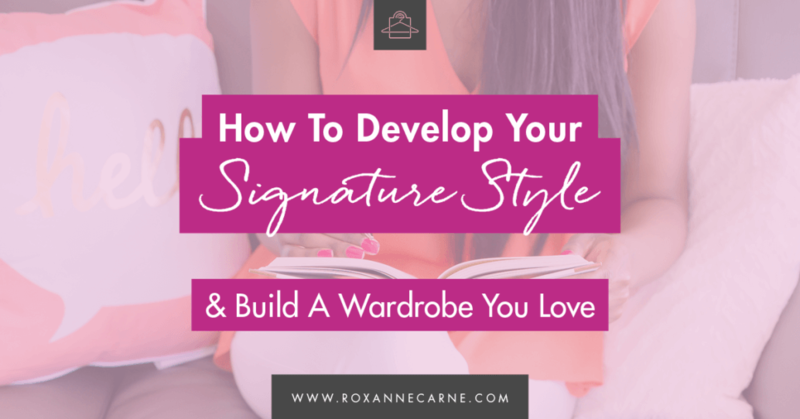 But once you've established your personal style and know what you like, it's easier to update with small hits — like adding a splash of color or a few trendy accessories like shoes, bags, and belts. Don't be a slave to the trends. And certainly, don't give up on being stylish because you feel like you can't keep up! If you struggle with this, that's okay. If you hear yourself saying…”But, Roxanne! I just don't KNOW what I like!” I have a solution for you. Together we can determine what you're attracted to, what styles look best on you — based on your body type — and work towards defining a wardrobe that will outlast any fleeting trend. If you want to learn how to dress stylishly — in a way that reflects YOU — let’s start with a closet audit. And preventing you from knowing and developing your signature style. I would wager a large portion of the clothes in your closet are NOT the vibe you want to be putting out to the world. Do they match your profession? Location? Do they make you feel like a rockstar? If you want to answer these questions honestly, I have a FREE 8-Day ‘Cleanse Your Closet' Challenge that's the perfect headstart to get your closet together – finally! I’d love for you to join! 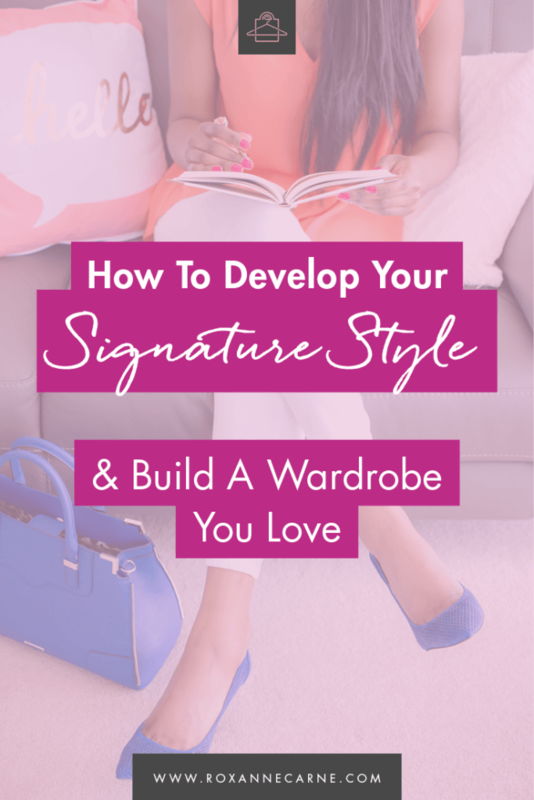 Take the first step in your journey towards having a wardrobe you LOVE… full of clothes you want to wear! PS. Do you have any questions? Contact me!